Travelers' Tales Guides, 9781609521158, 416pp. The Billy Gogan story is a fictional memoir told by an old Army general of his adventures as a young man. 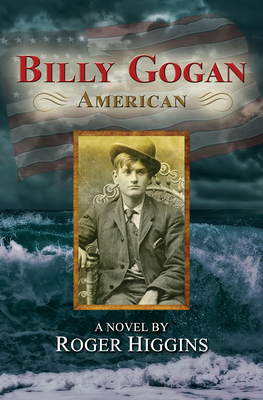 Billy Gogan, American, opens with recently orphaned Billy Gogan fleeing Ireland on the eve of the Great Hunger -- either because he is the son of a dangerous revolutionary, or because his cousin doesn't trust him around his daughter. Billy befriends a destitute Irish peasant named M ire and her young daughter F ona, and together they endure a harsh passage to New York, America's greatest city. They get separated as they debark, and Billy searches tirelessly for them in the dangerous Five Points, ground zero in the collision of Americans, ex-slaves, and Irish refugees. Here, Billy completes his education. Already able to declaim Cicero and construe Aristotle, he learns voting fraud from Bill Tweed, the future head of Tammany Hall, and the numbers game from Charlie Backwell, Tammany's top bookie. Finally, Brannagh O'Marran, the beautiful mulatta daughter of the Irish madam of Gotham's finest brothel, teaches him about love. Billy eventually finds M ire and F ona, and the three of them plan their future together. But that future is taken in a cruel stroke, and nothing will ever be the same. Roger Higgins was born in England and became a lawyer after retiring from the Navy. He continues to practice law and write novels. Roger lives in Chicago.